As confirmed in last week’s list of TBL holders for 2017, BTC Norlin Racing will join the Dunlop MSA British Touring Car Championship grid next year with a brace of Chevrolet Cruze cars. The Northern Ireland-based team has a multi-year deal with a leading hotel development company, Norlin, and has recruited Chris Smiley as its first driver. A second driver is due to be announced shortly. BTC Racing entered the British Touring Car Championship in 2006 after a race-winning pedigree in some of Britain’s leading national racing series. It took a sabbatical in 2015, but has now purchased cars and two TOCA BTCC Licences from Power Maxed Racing to return to the top flight. BTC Norlin Racing boss Bert Taylor said: “We are delighted to announce this partnership with Norlin and to get Chris on board is a real coup. “I worked with Chris at Team HARD this season and saw first-hand what a talent he is. He is utterly focused on his career and is dedicated to winning, which is the same passion that we have as a team. “We have expanded the backroom staff at BTC Norlin Racing and have brought in expertise. We have taken on staff that have worked with the likes of RML and Triple Eight, so we feel confident we can move forward. The cars are currently being prepared at BTC Norlin Racing’s Bicester base. Smiley has already tested the first car at Donington Park. The 24-year-old Carrickfergus racer will be returning to the championship in 2017, after a part-season this term at the wheel of a Toyota Avensis. He stopped the programme halfway through the year after a troubled start to the season. 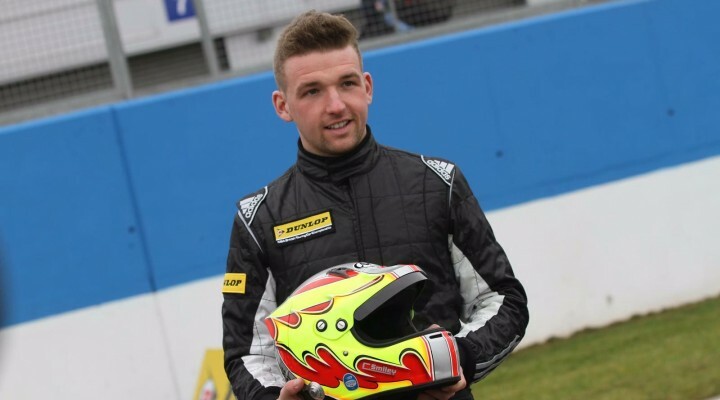 The former Mini Challenge champion said: “For me, this is the start of my BTCC career. I didn’t really get enough running this year to learn anything, so I am beginning afresh. I will be able to properly attack the championship in 2017. “I am grateful for the people who have stood by me – and the guys at Norlin have been so enthusiastic. They are family friends and we have been able to put together a team of highly talented people. I really can’t wait to get started. Richard Irwin, the Chief Executive of Norlin, explained: “Our aim over the next two seasons will be to challenge for the Independents’ Trophy and we look forward to a very competitive 2017 season. “We believe we have a strong team led by Bert Taylor, with an experienced technical team and an excellent first signing in Chris Smiley. “It is difficult to describe the BTCC to anyone who has never been to a race. The races are high-speed, high-octane, adrenaline-fuelled and action-packed. The trackside crowds have been growing year-on-year at each circuit and there is a very loyal online following, coupled with strong ITV viewing figures. “The BTCC is therefore an appropriate showcase for our Norlin brand along with a great day out for our corporate partners and fellow sponsors Propiteer.